Everyone who loves to view the world from horseback will love the Tábor region. In recent years horseback riding has become a hit and those who have not ridden a horse don't know what they're missing. Many farms operate in the Tábor region and, in addition to stabling, breeding and training horses, they organize interesting events for tourists. Those who love to explore nature from horseback, can find countless opportunities in the Tábor region. Horse farms are situated in several villages within a stone's throw from Tábor. One of them is located just 5 km to the north of the historic centre in the Náchod suburban area; another horse farm is situated 5 km to the south in Sezimovo Ústí where you can ride, for example, just on a small meadow. More seasoned riders can set out on nature trails in the vicinity of Tábor. In this case, an expert guide is required. Other horse farms are in Sedlečko u Tábora, Zálší, Cunkov, Chroustník or Malšice. Just make your choice. For example, the Dolli Riding Club in the picturesque hamlet of Zálší in the Soběslavská Blata (marshland) region has 13 horses. 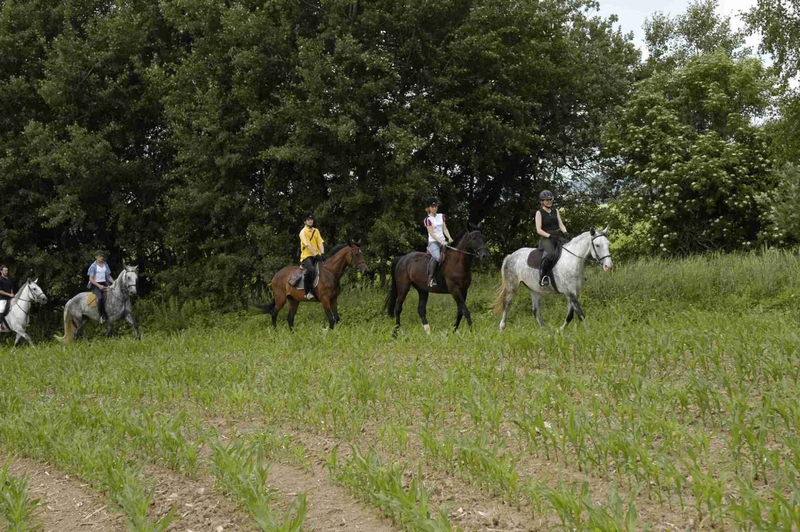 Besides lessons for beginners, children and advanced riders, the club can arrange recreational rides, expeditions with an instructor, rides with a team of horses around Borkovická blata and even very popular summer camps for children. 100 children participate in four camp sessions and their dreams of spending their holidays with horses come true. The /Y Farm (read Diagonála Ypsilon) in Cunkov, situated in the beautiful landscape of Čertova hrbatina between the villages of Sedlec-Prčice and Jistebnice, focuses on breeding Hucul ponies. The farm services include rides in the surrounding country, lessons in the riding hall, rides in a chaise in summer and in a sledge in winter. A horse "baptism" event or a traditional Hubert's Ride are other exceptional experiences. The farm portfolio also includes educational camps for all riding fans and camps for children. To find a peaceful place for your family, visit the former Karolín farm, situated in a secluded place near the village of Malšice. Apart from stables, horse enthusiasts will appreciate perfect facilities like a cosy guest house with a restaurant.